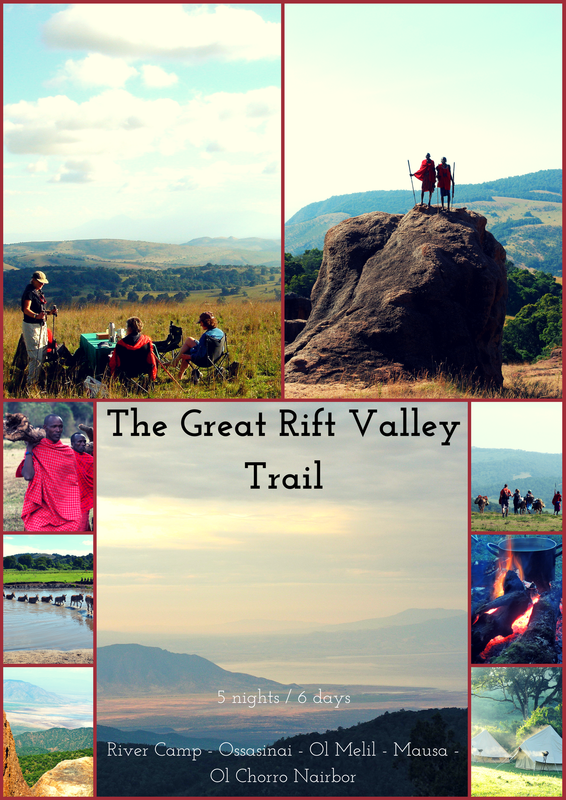 Walk though ancient elephant trails, across the Loita Hills and down into the Great Rift Valley. 5. Back to base for the rest of your safari! 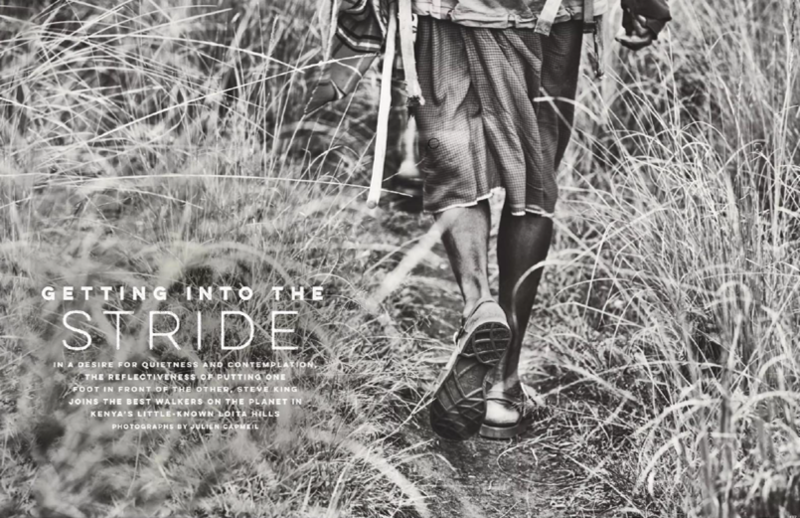 Our Maasai guides will come to meet and greet you before the trail begins. You will talk through your upcoming trail. The pack donkeys will be brought in from nearby enkangs on your first day’s walk; the equipment will be weighed, measured and packed in preparation for your foot safari. Once all the provisions and camp equipment have been packed, the donkey caravan will set off into the forest to set up the next camp. Due to the altitude of the Loita area and the terrain that we traverse, we do not plan to walk for longer than 6 hours a day. Within very short distances you can walk through very different ecosystems and habitats. Normally the walks are three hours in the morning, stop for a leisurely lunch then a further three hours in the afternoon. This is only a guideline though and we will adapt the length of the walk to your wishes. Along the trials, camps are set up before your arrival. 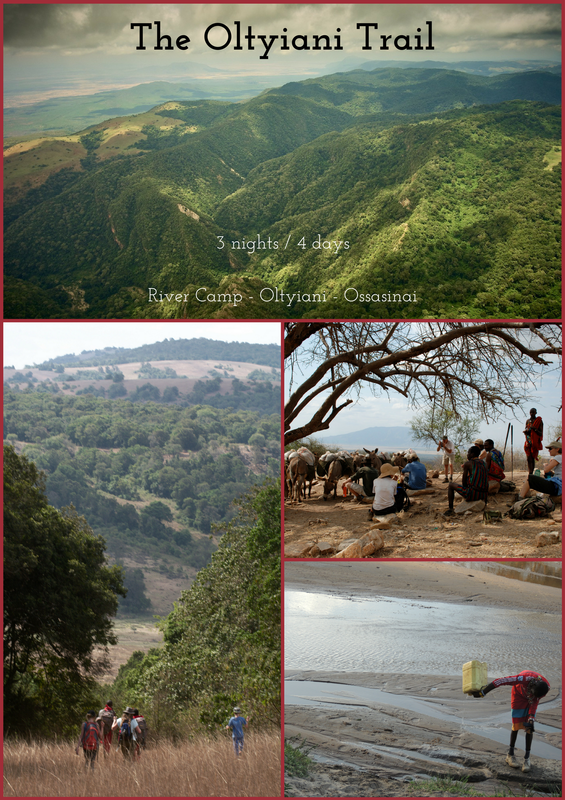 Each ‘camp’ is made up 4 x 4 African Bell Tents or Dome Tents and a ‘mess tent’. ​All tents are comfortable and warm. - Each tent uses a canvas wash basin outside. - Each tent comes with a light. - Toilet and showers are provided. Our Walking Camps - Having spent the last 10 years leading walks through the forest, we take great pride in setting up light but comfortable camps in some of the remotest parts of the Loita forest. The camping party will clear the ground. A small thorn kraal (enclosed area) is made for the donkeys and fires are lit, tents set up and the kitchen prepared for your arrival. 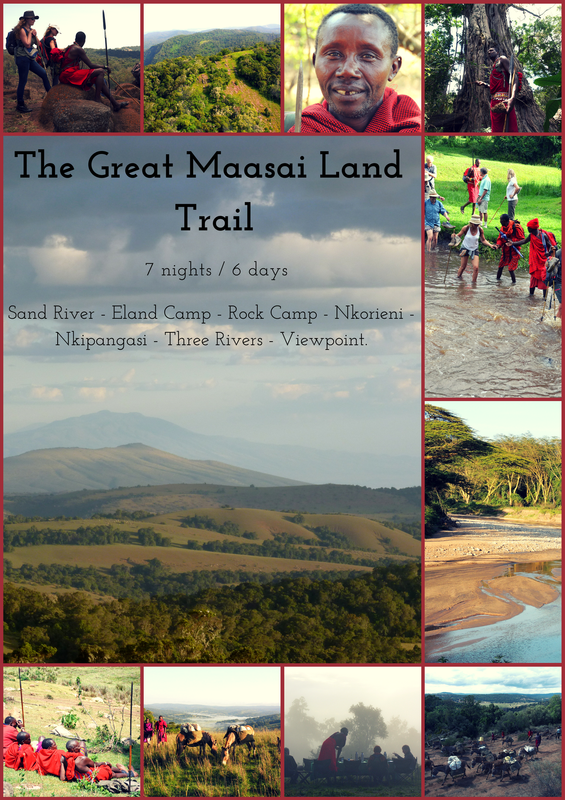 - Includes, two road transfers either from Speke’s Camp or Siana Springs in the Maasai Mara and/or from Karen Crossroads in Nairobi. All our guides are members of our local Maasai community. They offer you unique insights into the local fauna and flora. 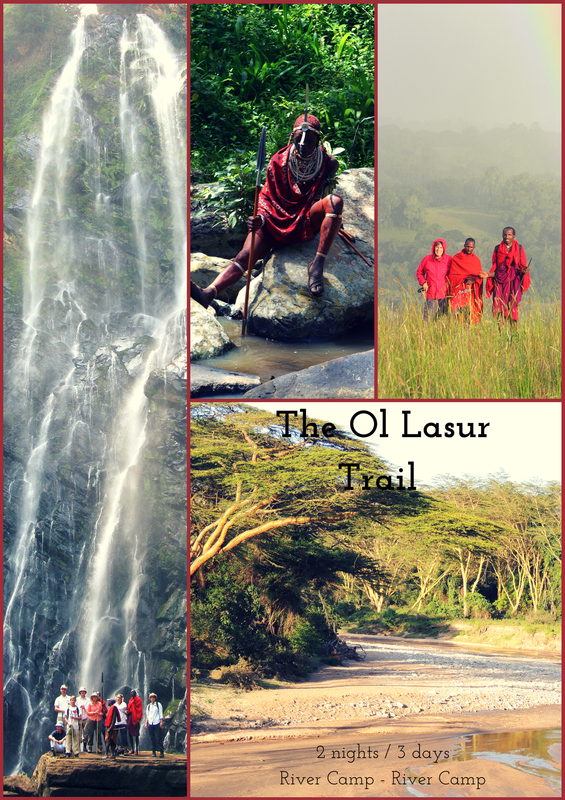 The Maasai will show you the local plants they use for ceremonial purposes and share their extensive knowledge of the trees and their medicinal uses. You can gain valuable insight into their culture and community life. 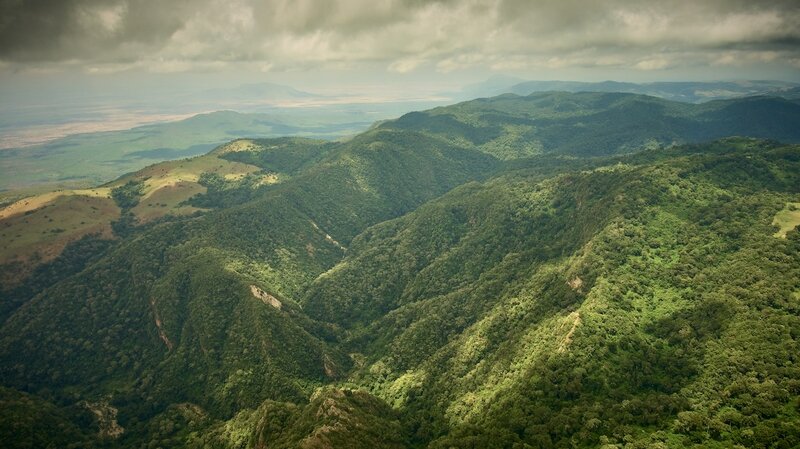 Explore ancient elephant trails as they descend through the forest down into the Great Rift Valley. A minimum of three guides walk with you on the trail, but that number will increase depending on the size of the group. The guides will carry a satellite phone while on safari in order to contact our Base camp, along with vhf radios.